All covered entities (CE) and child sites are required by the 340B statute, administered by HRSA, to recertify annually for the 340B program. 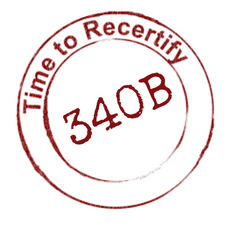 Failure to do so, will result in removal from the 340B program. The 2018 recertification window runs from August 15, 2018 - September 12, 2018.